Teeny Sweeney and the Mustache Cash is Available Now! Teeny Sweeney and the Mustache Cash, written by author Amberly Kristen Clowe and illustrated by Janet Samuel, is the first book in our brand new chapter book series and introduces Teeny Sweeney, a young girl with a penchant for playfulness and shenanigans that tend to lead her into unexpected, but important life lessons. Readers ages 6-10 will enjoy getting to know third-grader Teeny Sweeney, who feels she has been one-upped by seemingly perfect Amanda Mayweather too many times. When her teacher assigns a project to create a business plan, Teeny believes she’s destined for success. After all, with two entrepreneurs as parents, business sense is in her blood! But, the best laid plans often go astray. Teeny will have to learn that God’s plan is one she can always trust, and that with prayer it is possible to love everyone—even Amanda Mayweather. With Teeny, young readers will learn that even when things don’t seem to work out, you can always trust God’s plan. We are super excited to introduce this new series to you and can’t wait to read your reviews! 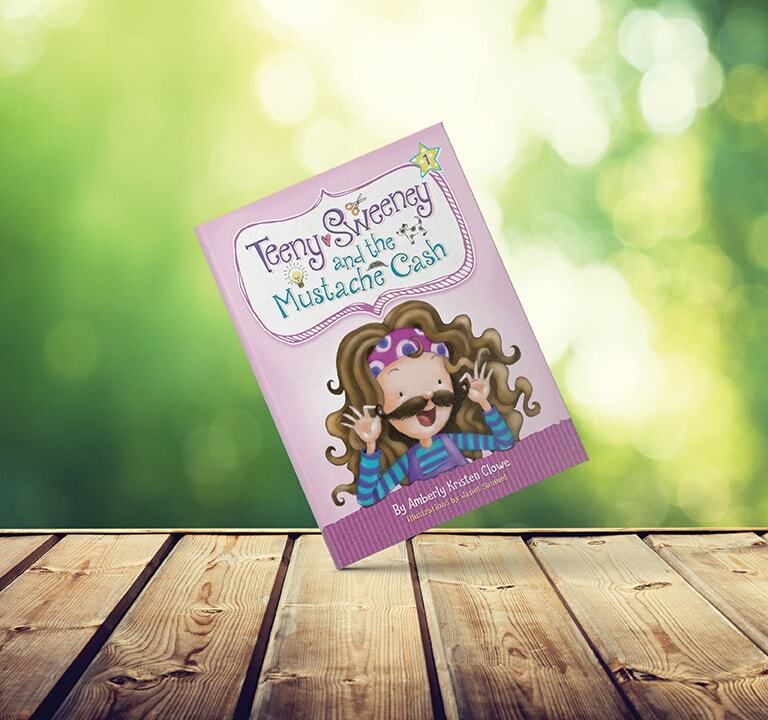 Teeny Sweeney and the Mustache Cash is available now in paperback on Amazon, Barnes & Noble, Walmart and more. And, don’t forget to join Amberly for the Teeny Sweeney Facebook launch party on Saturday, April 7, 2018! There will be great live videos, fun prizes, and more.